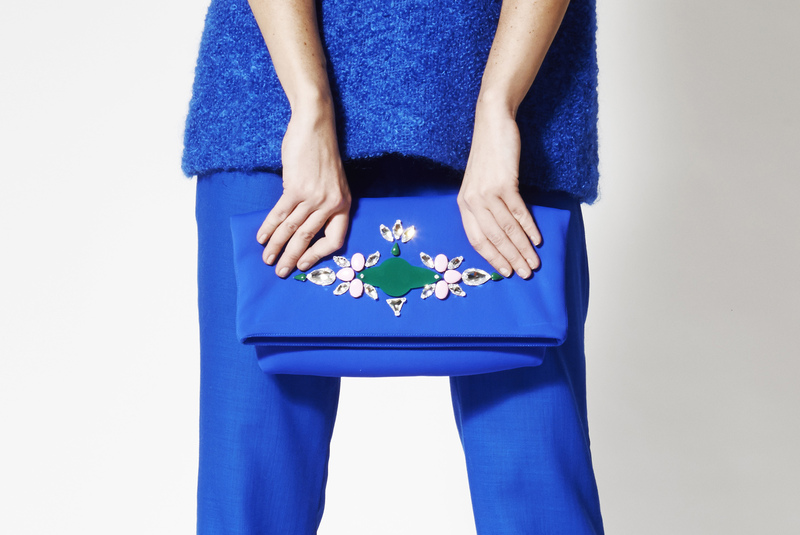 Home » Bespoke » Waleska Neoprene envelope clutch bag. 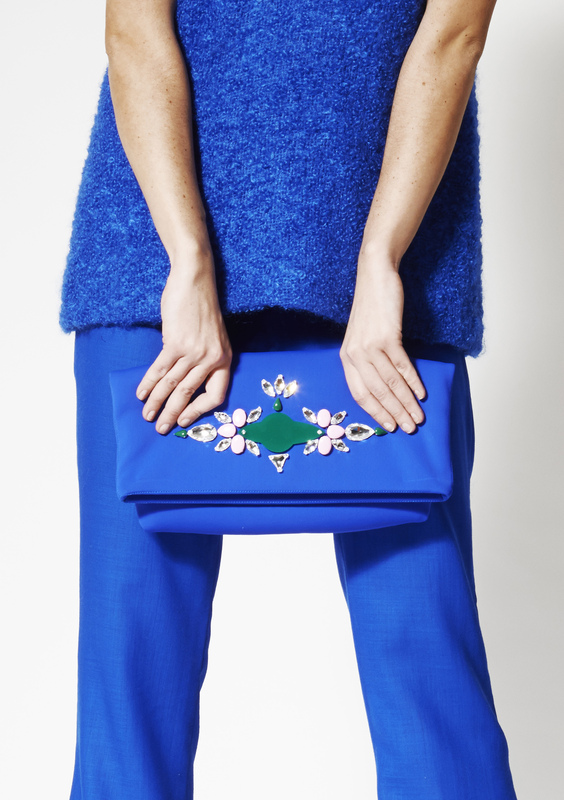 Royal blue, neoprene envelope clutch bag, fully lined. Symmetrical crystal design on the front.